Responsive webpage design (RWD) is a topic widely spoken about nowadays. What does RWM? What does the webpage have to respond to? The answer is quite easy: your webpage should respond to your visitors’ devices, whatever they enjoy using more. In other words, your webpage should quickly adapt to different environments of users. This means that your website should differentiate between types of devices or browsers that people want to use and adjust to the size of a screen, to the platform that people are using, to show images of appropriate formats and resolutions, and to show the correct 'Click' or 'Touch' mode. Undoubtedly, there is a possibility to create several web pages, i.e. one webpage for desktop computers and another one for mobile devices, such as tablets or smartphones, in order to take every single detail into consideration. However, more and more companies prefer having responsive web pages instead of creating different websites, and there are, apparently, convincing reasons for that, as responsive designs have several advantages. In the previous articles I have published; How to Build Responsive Blogger Template CSS: Advanced Tutorial for all the bloggers to make their blog template mobile friendly for all kind of screen size. And today I'm going to share the benefits of responsive web design that will not only help you to improve user interface but also to increase domain authority from Google point of view. The purpose of responsive web design is for making the responsive web framework for the content to render it accordingly for the various screen sized at the visitor side so that it provides an optimal experience regardless how they are accessing your website. 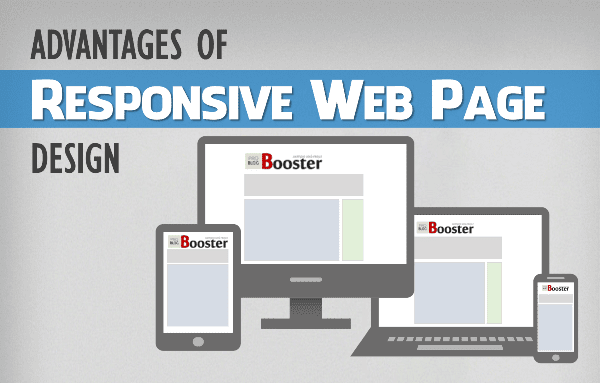 Web design responsive design - Responsive web pages are not the same as websites for mobile devices. Without any doubts, it is unreasonable to create a special version for each mobile device, such as iPhones and iPads, Androids and Kindles, and so on. A mobile version of a website will be different from the version for desktop computers. Responsive web pages give you a chance to forget the worries about creating different pages for different types of devices because responsive web pages will automatically adjust to the size of a screen on any devices. You do not have to think about different types of content for different pages to meet the requirements of web pages. You can be sure that your website will look awesome both on computers and on mobile devices. Responsive web design ideas - As you do not have to develop two separate web pages of your website, you will be able to save a great amount of time and money, just having one responsive webpage developed for you. Additionally, you will have to update and maintain just one site instead of two. Isn’t it wonderful? Make webpage responsive - Maybe, your visitors will not notice or appreciate to the full extent how great your website looks on their mobile devices. However, people are sure to spot the difference if your site does not adjust to the screen so they will have to scroll the page multiple times to be able to read the information. People love those websites that they can attend easily via any device. More and more sales are held online, so if your online store functions well only on a desktop version, there is a chance that even your loyal clients will opt for buying at another store that is more comfortable to use when they need to purchase something quickly with the help of a mobile device. So, RWD of an online store will guarantee your customers’ satisfaction with the easiness of buying goods and make them wish to come back to your store. No doubt, people will spread the news and attract new customers to your website. Also, the more time people spend on your website, the better it is ranked in search engines, so it is a way to attract a wider audience and increase your traffic. Website redesign SEO - Since 2015 Google has supported RWD because of several reasons. Firstly, clean and user-friendly layouts lead to the existence of one page for different devices, thus helping to avoid content duplication on multiple versions of sites. Secondly, having one URL is a way to quickly update your information for different devices and thus to facilitate the process of analyzing and understanding your content for search engines. Thirdly, as browsers will not have to redirect users to a mobile version of your webpage, it will save their precious time. Reduced loading time and increased site speed will definitely improve SEO results. Fourthly, building trustworthy links will not be lost when you transfer to a responsive design, and users will be redirected to your webpage when they are looking for relevant content. Easier analytics reporting - If you have two different sites for different devices, gathering statistics and creating reports about users’ experience can become quite complicated because of redirecting between your sites. In case you create a responsive webpage, tracking your customers’ visits and creating analytical reports (such as the ones by Google Analytics) turns into a quicker and clearer process. A fully responsive & mobile -friendly site provides an improved user experience for the visitor. Accordingly, it will cause your visitors to surf your pages for a longer time. Therefore, RWD will improve user engagement and lower the bounce rate making your reader to explore more areas of your web pages. It will convert your reader into customer and so increase conversions and sales. More mobile traffic - When users have an HTML5 enabled device, they will have a chance to continue browsing your responsive website even when the Internet connection is lost. It means that such important information as email newsletters can be consumed by customers ‘on the move’, no matter where they are. Creating an effective responsive website requires both technical and creative work. Technical work includes coding web pages correctly, so that they did the magic and transform images and texts properly on various devices. Creative work involves finding the best way to arrange elements within a layout. 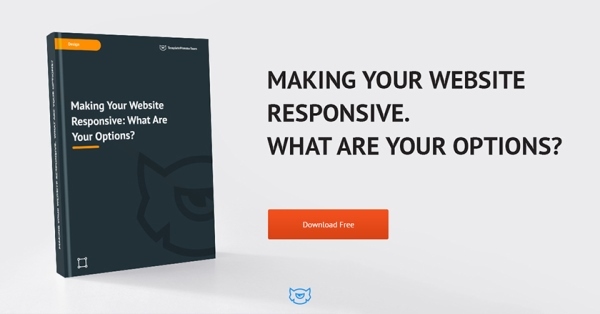 If you are eager to change to a responsive website, but you not sure that you have enough skills, specialists at TemplateMonster will be happy to help you with this task. There is a great variety of responsive WordPress themes at TemplateMonster, so no matter what kind of a site you wish to create, there is an incredible collection to choose from. For instance, with the help of WordPress fashion themes, you can easily launch a fashion blog, or you can develop an online store connected with health and beauty if you choose a WordPress theme for advertising. As a particular example, look at Mostroid 2, a multipurpose WordPress theme. It includes an ultimate pack of more then 9 layout options so you can create any website look site you want. This theme is fully responsive and is easy to navigate from any gadgets and devices. Moreover, it includes various plugins and widgets for the easiness of creating a website. 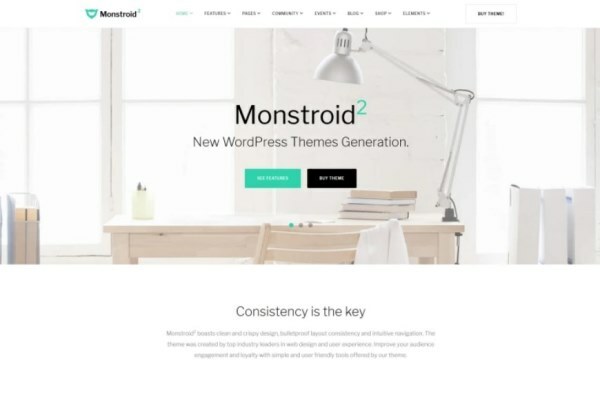 Also, if you wish to apply this theme for running an online store you could do this at ease since Monstroid 2 is integrated with WooCommerce. All in all, creating a website with responsive design is the step that should be taken in order to follow modern trends, because in such a way your webpage will benefit in numerous ways. You will attract new visitors who prefer using mobile devices, boost the speed of your website, increase your traffic and improve your SEO results, to mention just a few advantages.